Democrats motto is- Never let a crisis go to waste… The truth is- Democrats are using Stoneman Douglas High School shooting for political propaganda. It is clear that they see this tragedy as an “opportunity” to promote their political ideology. They will keep using any reason to take control of Our Right to bear arms and will not stop until they do. When it comes to the second amendment the left wing propaganda machine thought proved that they are going against the Constitution! The 2nd amendment has been violated for decades. The left-wing propaganda machine thought they could attack President Trump over the latest school shooting in Florida and get away with it! President Trump blamed Democrats for failing to act to strengthen gun restrictions under the Obama administration, accusing them of using the issue as a political talking point. 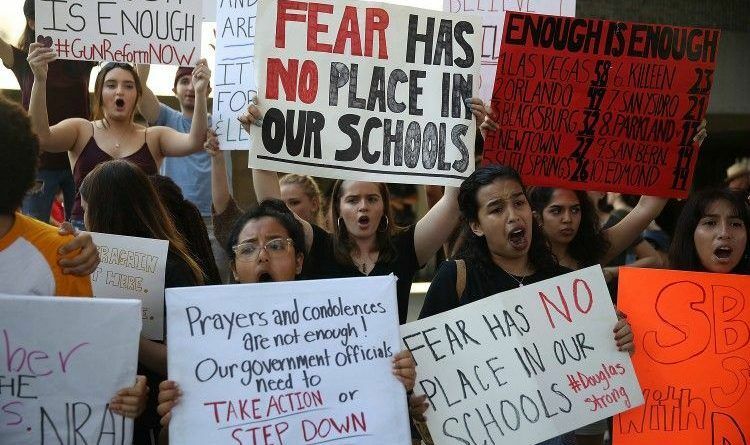 Many students will protest just to prove a point that we need gun control laws, when in fact we need armed guards in schools to prevent more tragedies in the future! Needville ISD Superintendent Curtis Rhodes on Tuesday threatened to suspend any student who disrupts schools or walks out to protest current gun laws. In a letter sent to families and published on schools’ social media sites, Rhodes said students would face a three-day, out-of-school suspension if they joined in growing protests nationwide over the shooting at a Florida high school last week. Needville is in Fort Bend County, about 45 minutes southwest of Sugar Land. Do you support this school district rule?